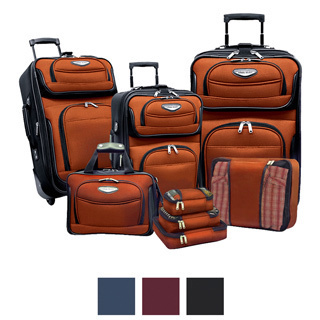 This is the summary of consumer reviews for Rockland Luggage Impact Spinner Four-Piece Luggage Set. The BoolPool rating for this product is Good, with 3.90 stars, and the price range is $135.15-$159.00. 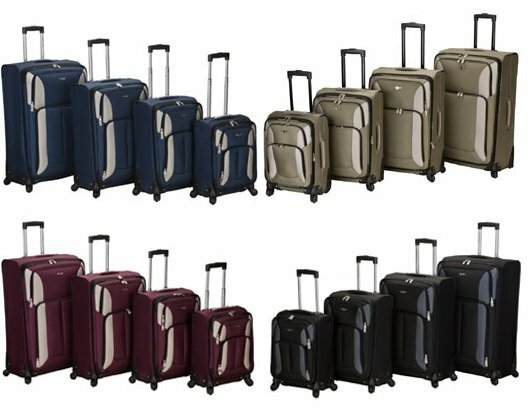 Good quality luggage, lightweight, great construction, content size is just right, wheels roll smoothly and handles are sturdy, nice colors. Good sturdy quality, rolls and nests easily, and the handles extend and retract smoothly. Fabric, spinners, zippers, and especially the handles seemed to be of good quality. I'd no problems with the wheels or the handle. After a month of US Airways baggage handlers, everything is still working properly, handles still move, wheels spin, etc, which usually isn't the case. Great wheels, perfect roll and spin. At the destination airport, the second bigger one's handle also broken. Here is my experience, The big one's handle broken while check-in at airport. And that loosy nuts in handles. Luckily, the rest two pieces still having handles. Swivel wheels make going thru airport easy. 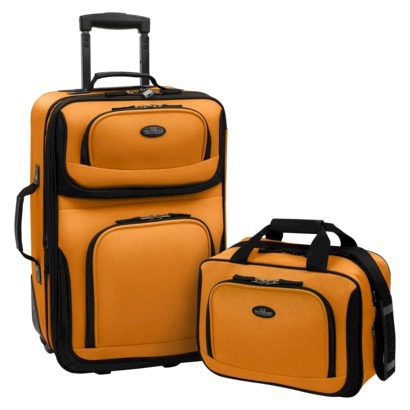 This luggage is sturdy, the wheels are fantastic and it's easy to handle these bags. All four pieces have spinner wheels and the wheels are sturdy. 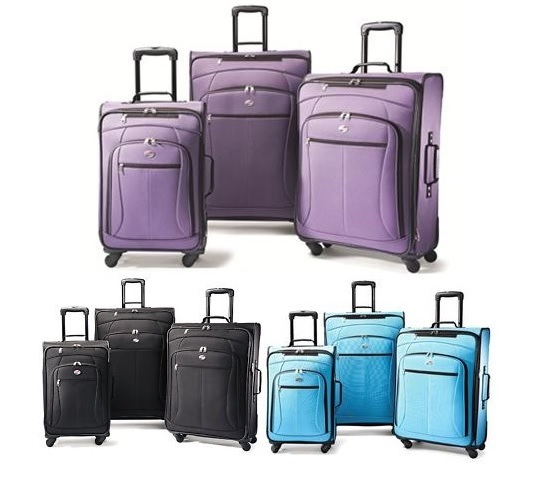 Spinner wheels also provide easy rolling of suitcases even when they're packed at full capacity. The rotating wheels were very handy and easy to use. Easy enough to buy separately. 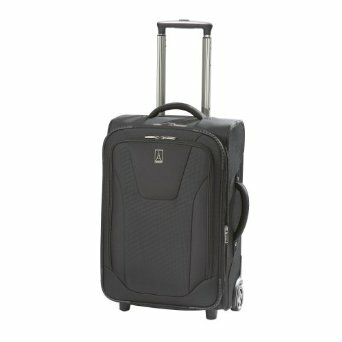 Used the biggest and smallest bags on a two week trip to Europe and loved my first set of spinner wheels! I love how they handle very easy for woman to manage. This luggage was easy to spot on the luggage rack. They all have the spinning wheels so they're all easy to maneuver. 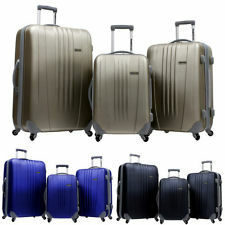 Delivered quickly, packaged well, solid sturdy good looking luggage. Seems to be constructed pretty well for price. The luggage set looks good. The Olive color look like baby s***..... it looks nothing like the picture. One bag got cut by airport baggage handlers the first time we used it but that hasn't been a problem except for looks!!. This set was 1/5 of the price and seems nearly as well. Looked great in the photos, and actually looks just as nice when I unpacked the box. Very lightweight and the spinners worked well. luggage was the correct color and looked good. We traveled by air and train mainly on this trip and were able to use the two medium sized pieces interchangeably during our trip. 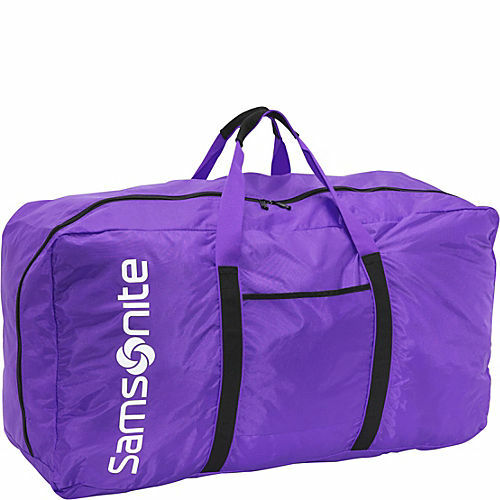 I'd recommend it if you've a need for several different sized bags (I use the smallest for my 2 days trips, the largest for international trips) and don't travel enough to justify spending lots of money for a "nice" luggage set. Everything worked great for the first part of my trip. We've used these for many trips now and my only complaint is that the expand section zipper clasp on the largest one came off completely on the first trip. It withstood the trip very good. Longer than 1 trip would have been nice.... but still a reasonable luggage set nonetheless. I used the suitcases (all four in the set) for my trip (this was the first and only trip as of yet with these suitcases) from WV to Florida. Held up really well, fits everything nicely. I checked the second largest piece of luggage on both my flights and during my train trip without any problems with their sizes or dimensions. Went on a cruise with the kids and it survived the trip.